Oh dear blog, I have missed you so. When I first started this blog in September 2009, I intended it to be a place where I can recap what’s been going on in my life so that I have something to look back on. Obviously, I haven’t been keeping that up, so here is my long overdue recap on how my 23 Things are going, as well as a little of what I’ve been up to lately. 1. Be able to watch a movie in Italian and understand 95% of what the people are saying. I.e., learn Italian once and for all! 2. Identify which is which in a Coca-Cola/Pepsi challenge. -I’m reading Buyology by Martin Lindstrom. It’s a really interesting read–all about neuro-marketing and why we buy what we buy. Anyway, towards the beginning of the book (which, is where I still am–don’t judge me), Lindstrom writes about the Pepsi Challenge that Pepsi conducted back in the early 1980’s. 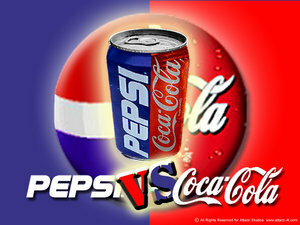 Research shows that consumers prefer Pepsi over Coca-Cola in a “sip test,” but when consumers are going to sit down and drink a whole can of cola, they prefer the taste of Coca-Cola. Anyway, this has nothing to do with my own skills in identifying the differences between the two, which I have not yet accomplished. 3. Become a Student of the Word. -I just finished reading Revelation last night. There’s so much interesting/scary/confusing information in that book. Next I’m going to go through it in my study Bible. I think I’m going to try to read the Bible backwards, book by book. We’ll see how that goes. -This has been going better. I wanted to make note of all the books I’ve been reading, but I’m a little embarrassed by the junk books I’ve been indulging in (read: I finished Lauren Conrad’s LA Candy series. Within about a two week span). As I mentioned above, I’m currently reading Buyology and plan to start Fresh Wind, Fresh Fire by Jim Cymbala soon. The whole point of this goal was to get myself to read more. I figured since I’m out of school, I can finally start reading for pleasure again. On that note, I finally finished the Harry Potter series and watched the last movie yesterday with Kaitlyn–in 3D. So wonderful. I think I’m going to need to see that again–in 3D. 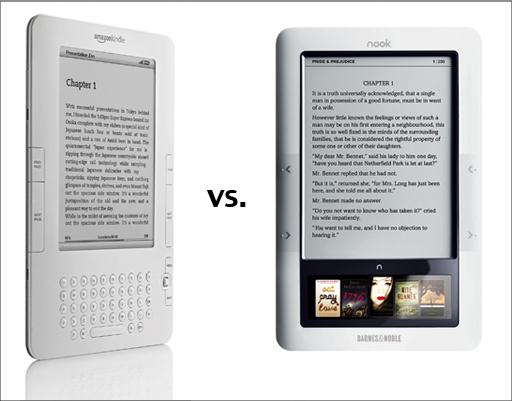 Anyway, I’m also planning on investing on either a Nook or Kindle soon–I just need to decide which one I want. 5. Create and stick to a budget and savings plan. -This hasn’t been too bad. I finally feel like I’m saving money. I’m not sure where it was all going before. I have a good tithing and saving system going on at the moment, although once I move out, more of my paycheck will be going towards rent. Eck. 6. Follow an exercise regime. -There were days where I would feel motivated to do some sort of workout outside the gym, but then I’d feel guilty for not using my gym membership, so I’d end up not working out at all. To solve this, I quit the gym. Now I’m $10 a month richer. I am still, however, exercise regime-less. I have a dream that I will move into the city and suddenly become a runner. I like to dream big. 7. Eat more fruits and vegetables. -This could always be better, but it’s not bad. 8. Finally learn how to strum properly on the guitar. 9. Become a San Francisco navigational pro. -This is going quite well. I still don’t always have 100% confidence about where I’m going, but for the most part, I know the general directions. 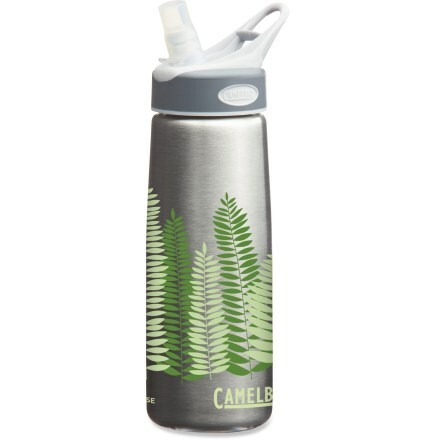 -Ever since I purchased my lovely Camelbak water bottle from REI, I’ve been drinking at least 25+ oz. daily. 11. Disallow myself from putting off on removing chipped nail polish from my nails. -I got a manicure three weeks ago and it’s still looking pretty good, but I’m cutting it close, so it will be coming off this weekend. 12. Attempt to knit or crochet. 13. Attempt to sew something on a sewing machine. -These may have to be moved to my 24 Things, along with goal 8. -Still haven’t done this, but I did download an app on my phone that lists geocaching spots in your area. Haha, it’s a start. 15. Develop proper sleeping habits. -Work and sleep is pretty much all I do, so this is OK.
16. Stop saying “like” as often. -This has been easier than I thought, which is good. 17. Get a better idea as to how I’ll get to grad school and what I want to study. -I just finished taking a night class in interpersonal comm. That was kind of tough–tough because going to class after working all day is tiring, and because my teacher was a little quirky. But I’m making some progress on this, slowly but surely. 19. Go to Disneyland in the fall. -Tiff and I will be heading to the happiest place on Labor Day Weekend. I know that technically that’s still summer, but I don’t know that I’ll be able to fit in a trip before Christmas, unfortunately, so this may have to do. 20. Make pancakes more often. -Yeah this isn’t going anywhere. Maybe pancake-making isn’t in my blood. My mom hates making pancakes. That isn’t very motivating. 21. Go shooting at a shooting range. -Still haven’t made it out to the de Young Museum on Fridays. Yesterday I read about how the Walt Disney Family Museum puts on different events as well. Next weekend, they’re making flubber. I’m a little intrigued. 23. Imagine myself 23 years past 23 years. -This is kind of a silly goal. But I crossed it, so I’m leaving it at that. That’s my progress. I’ve been going to Giants games almost every month, which has been awesome. This weekend, Franklin, Daphne and I are going to a cabin in Point Reyes. Yes, it just screams teen horror film, but it should be fun. i like these updates. thank you. sorry i'm late at commenting. i read it on my phone, but couldn't comment. 5. when you master this, please help me not turn into lily on himym. 11. i painted my nails yesterday and one is already chipping away…how sad. 8, 12, 13, 18. haha but 24 is awfully close to 25. my heart skipped a beat. 19. i say september totally counts as fall. and i hope i see you then! 22. i was planning on going to the museum this weekend, but i looked it up online and i missed two of the exhibits i really wanted to see. i'm ashamed of myself.